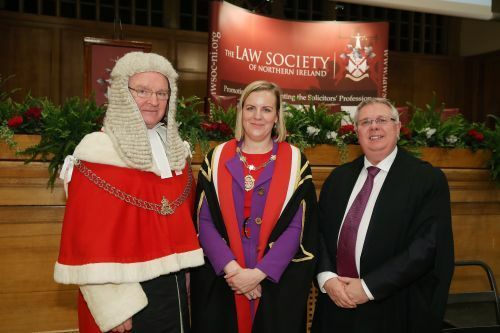 From left to right - the Lord Chief Justice for Northern Ireland, Sir Declan Morgan, President Arleen Elliott and the Registrar of Solicitors, Alan Hunter. 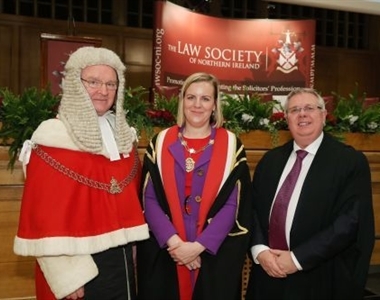 The President of the Law Society, Arleen Elliott welcomed over 100 newly admitted solicitors to the profession during the Society's Admission Ceremony at Whitla Hall at Queen’s University in Belfast on Wednesday 4th March 2015. 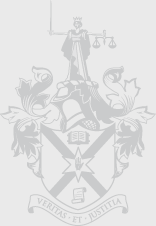 Special prizes were awarded to Louise Breen for excellence in the Solicitors Accounts Course and Fiona Elizabeth Sturgess who was awarded the Thomasena McKinney Prize.